Enjoy the rest of the day, Lynette. What a fabulous place. I’m used to seeing pictures of red rocks – so much white is equally wonderful. It’s really something. I’m very glad I was there. Take care, Anabel. Thanks for adding your thoughts. “Georgia O’Keeffe was smitten with Plaza Blanca” – And so it seems were the three of you. Amazing pictures of a stunning landscape. Yes, Plaza Blanca had the three of us under a spell. Great article. I loved Bandilear National Part hiking and climbing ladders but never got to Plaza Blanca . …looks like l missed a fantastic place. Hi Joyce. 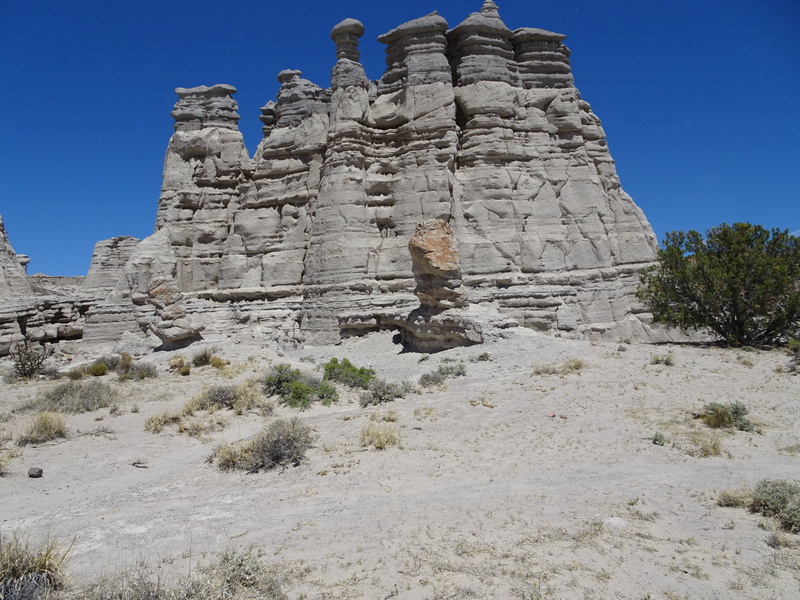 On your next trip to NM, don’t miss Plaza Blanca. Hey there, Tyler. I’m glad you liked this article. Thanks for taking the tour. Looks beautiful. Another bucket list place! It’s definitely a winner. You’d love it, Pete. Will definitely add Plaza Blanca to my list! Excellent post – thanks! Thank you, Neil, for bringing back memories. I was glad to be able to poke around in places I’d never been to before. 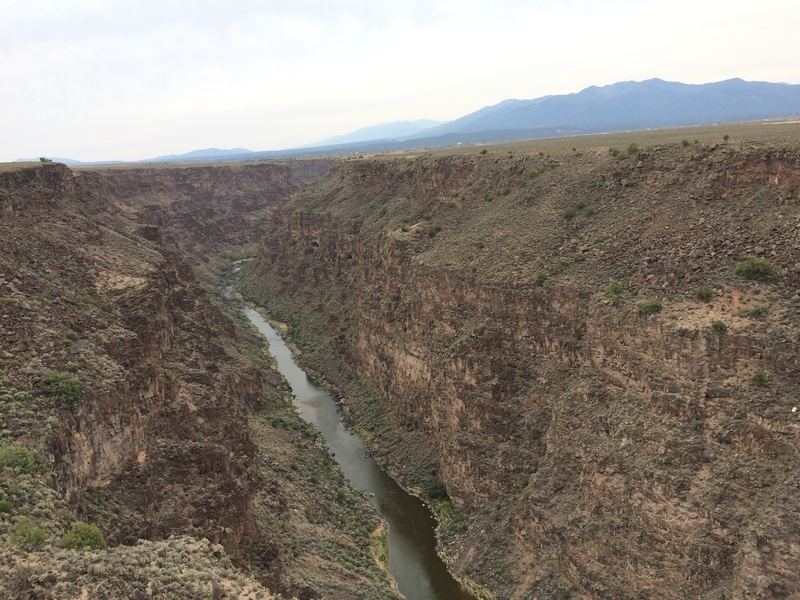 It would take at least a month of exploration to do New Mexico justice. Have a great rest of the day, Tanja. New Mexico is filled with hidden gems and never ceases to impress me. 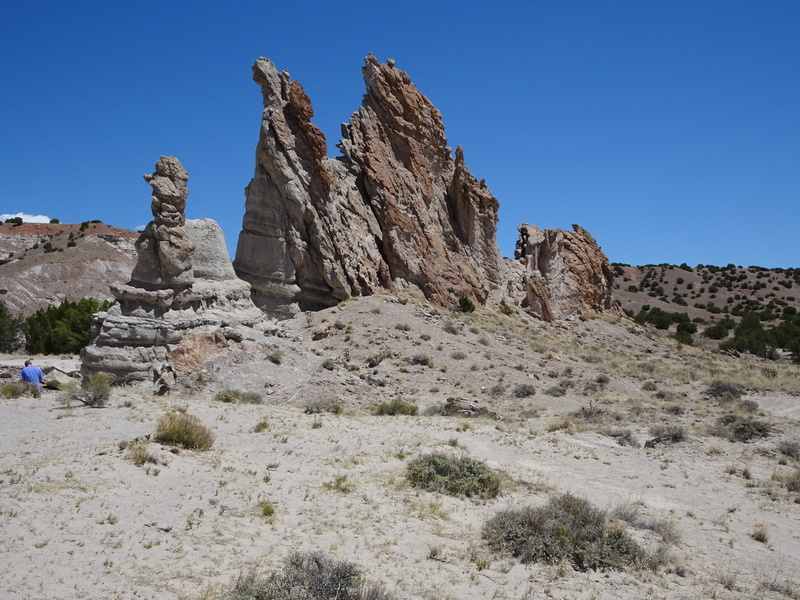 I haven’t visited this area yet, but have hiked at Bandelier and the Kasha-Katuwe Tent Rocks and been awed. Thanks for the tour – it’s added to my list. Hi Ingrid. Thanks for stopping by. My wife and I only scratched the surface of what New Mexico offers. I’m sure that you’re much more familiar with the state than I am. On your next visit, though, put Plaza Blanca on your list. I’ve always had a hankering to go there. You are fanning the flames. I’m reading a McMurtry book and hanging out in New Mexico trying to keep my scalp. That pic of you and Sany going in that cave is a little spooky. I’m glad you came back out of there. Great piece Neil. Love that country. You and New Mexico would be a perfect fit. Plaza Blanca and Santa Fe are waiting for you, CB! I’m very jealous ! I’m a huge Georgia O’Keefe fan. She was terrific. We went to the O’Keeffe museum in Santa Fe, and seeing her paintings there made me an even bigger fan of hers than I already was. That looks just gorgeous! Thanks for sharing the photos of Plaza Blanco! It’s a pretty amazing chunk of desert territory. I’m happy to be a member of the “I Love Plaza Blanca” fan club. And now it is on my list of places to visit before I die! Thanks, Neil! Hey Jerry. I’m always glad to hear from you. And I’m glad you liked this story. Hi, and many thanks for stopping by. 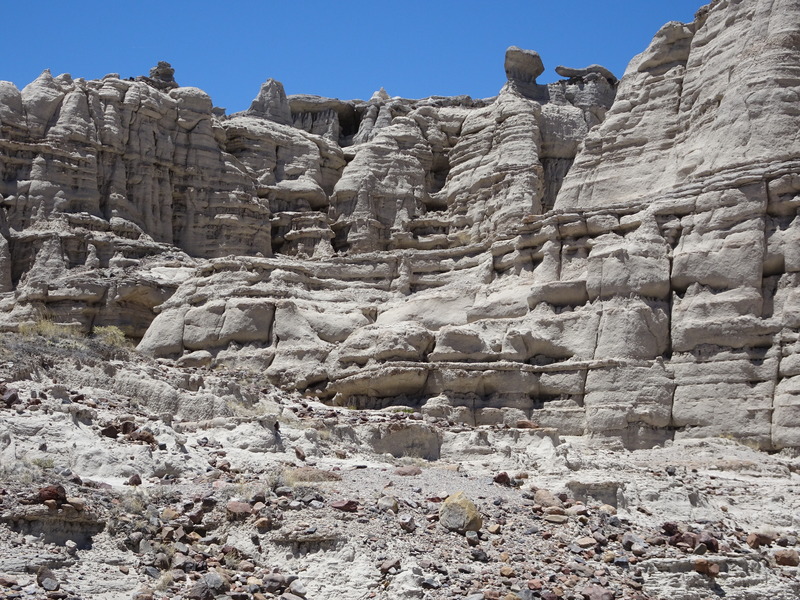 Yes, if you head back to NM, don’t miss Plaza Blanca. It’s something else. Gene and I prefer lush greenery to desert, but that landscape is starkly stunning. Cape Cod, Amsterdam, Santa Fe–we enjoy your biodiverse vacation stories! I knew precisely nothing about New Mexico before reading your blogs on it, Neil, so thanks. 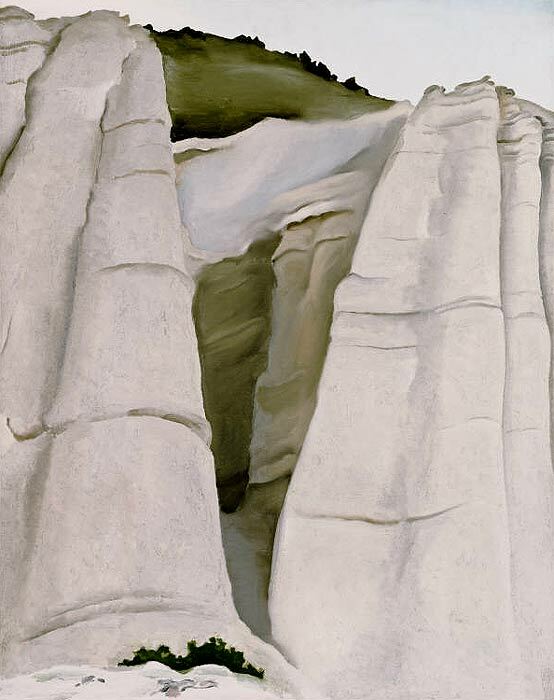 Plaza Blanca looks like a special place – no wonder Georgia O’Keeffe was moved to paint it! If I get back to NM, I’d like to take a tour of the home where she lived. 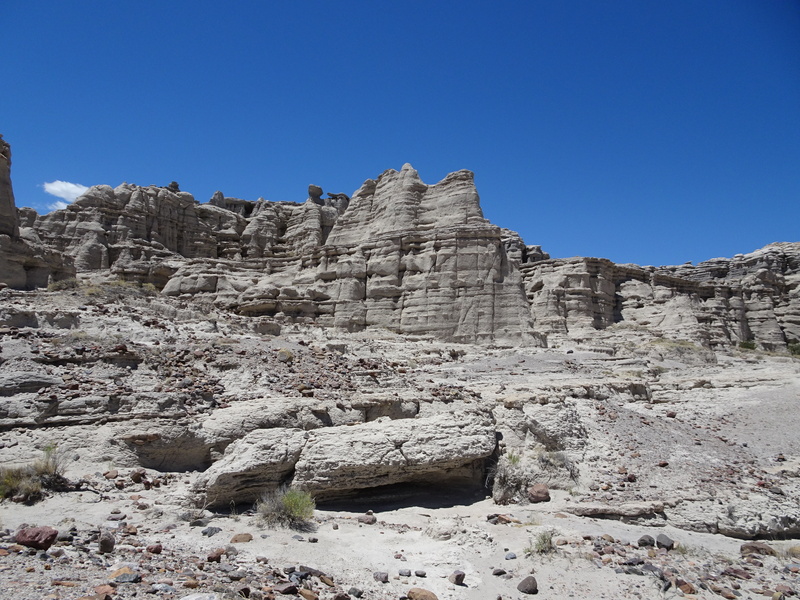 It’s in (or near) the desert, not all too far from Plaza Blanca. Our planet is amazing. So many beautiful, interesting natural areas. It’s all pretty hard to believe. What a post! Many, many thanks for taking us to this beautiful, magical place. Absolutely incredible. Morning, Laurie. Mentally I’m still in Plaza Blanca! I can see why. What an astonishing place. All your senses must have been filled so that you were in the present, in the now. I’ve been in New Mexico a few times but somehow missed Plaza Blanca. NM is certainly worthy of it’s slogan “The Land of Enchantment”. Hi. You’re right. There’s a section that has white sands. I’d like to see that, and many other areas too. A landscape to do your head in–it must have been surrealistic painting out there. A Dali-esque terrain in its own right. And I’m glad to hear you did not visit during the rainy season. It’s possible to get too carried away. I wonder if there’s any footage of O’Keeffe painting there, or elsewhere in the desert. I’d like to see what her method was, if she set up an umbrella to ward off the Sun, etc. Have a real good upcoming week, Amy. Bye for now. I googled your question and came up with this link. It talks about her “mobile studio,” and further into the article about the White Place in particular. Thanks for the thumbs-up, Muriel. Appreciated. Thank you. Every dollar will help. Liz and I spent some time earlier this year escaping the cold of winter in England at a place called Playa Blanca in Lanzarote. I quickly scanned through your pictures thinking Playa Blanca is looking a little barren and deserted these days. Of well, perhaps Liz is right when she says I spend too much time in bars and restaurants and not enough time exploring. Then I thought I might try reading while wearing my reading glasses. Nice place, nice post, good pictures but . . Not enough bars and restaurants for me . .
Steve, I was glad to be out in a desert for a change. But I know what you mean about bars and restaurants. Over the last 25 years or so, the USA has gotten a lot better than it used to be when it comes to food and drink. I bet that the same is true for where you live. Hi, AOC. I hadn’t been in a desert in decades. A very different environment from those I’m used to! I spend some time perusing your previous post about Santa Fe and this one. I enjoyed them so much because I love New Mexico. My sister lived in Angel Fire, a ski resort near Taos for several years, so I visited and explored New Mexico with her. Then, last winter, my husband and I officially became snowbirds by buying a small home in Las Cruces to get out of Northwest Colorado’s winters for a few months each year. I’ve always been fond of desert landscapes and am looking forward to exploring more of the state each winter; after reading your blog, Plaza Blanca will be one of the first. Thank you. Hi Janet. I just took a look at a NM map to see where Las Cruces is. You’re practically in Mexico. I know what you mean about desert landscapes. There’s something hypnotic about them. Last month was my first exposure to enormous deserts in many, many years. These are nice photos. Kudos to all the photogs! Hi Kathy. 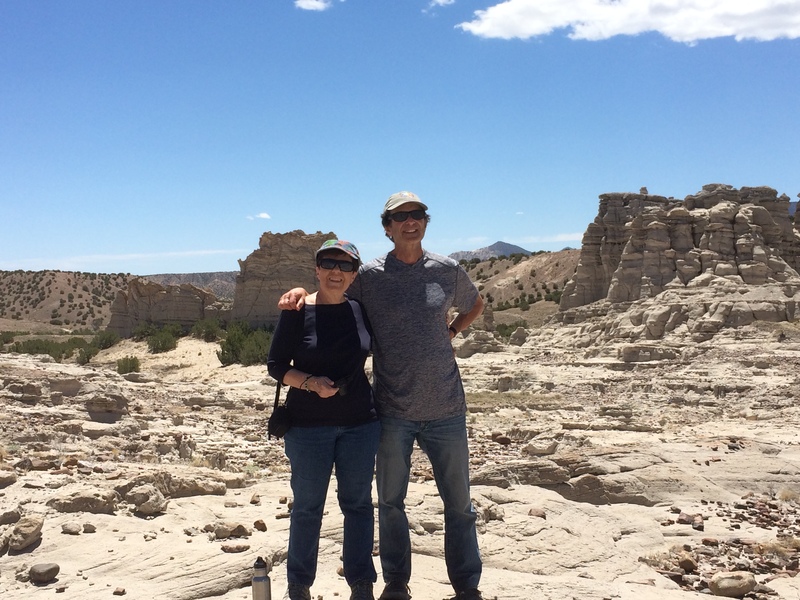 I’ll let my wife know about what you said — she took most of the Plaza Blanca pix in this story. I would have been afraid to journey without a guide. Really amazing are your photos. So historical they are and magnificently constucted. As for me, I get hungry on expeditions. Beautiful! Plaza Blanca is a new one for me, I’m adding it to my list. I noticed Ingrid’s comment concerning Tent Rocks, an amazing place. It does involve more walking so the time to go is early morning before the sun is high. Hi. 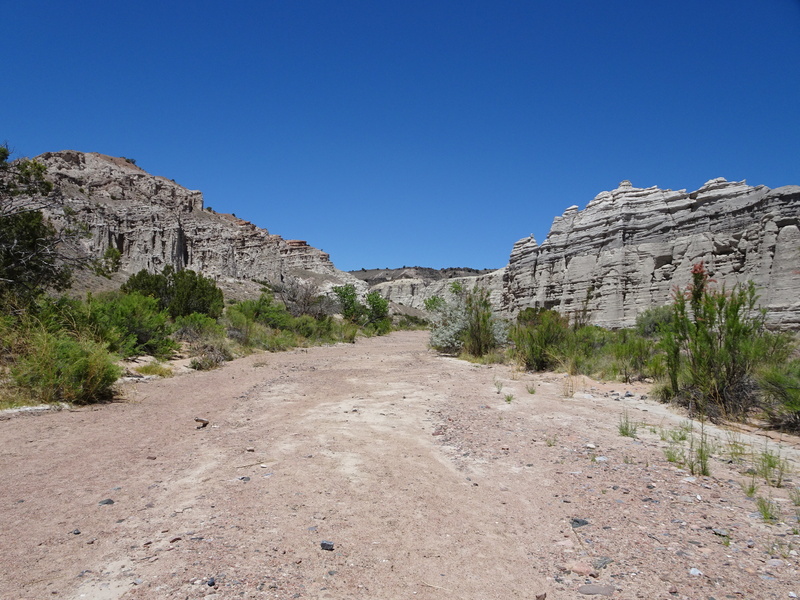 You might like Plaza Blanca more than Tent Rocks, because (according to my brother) it is far less crowded. Sounds like a great trip, Neil. It was a very memorable trip for us. It made a big impression on my wife and me. Hope to get back to New Mexico one of these days. 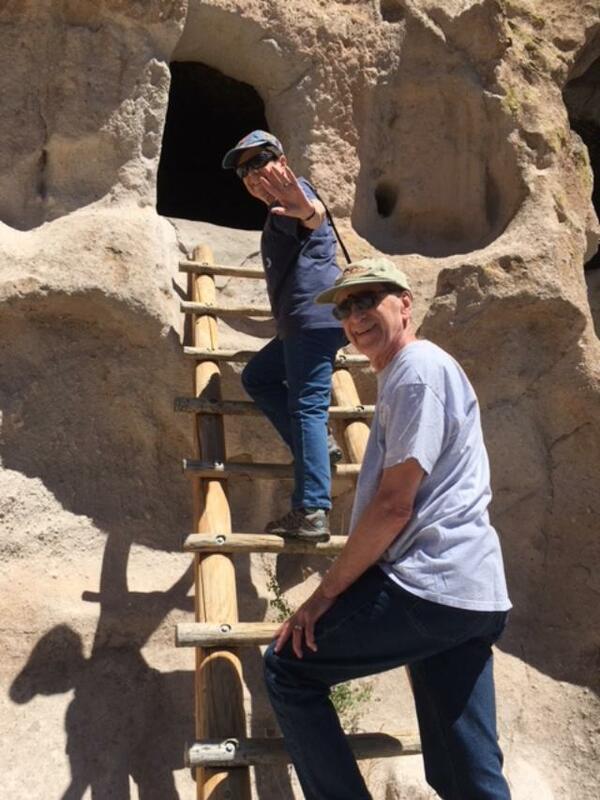 We loved the cliff dwellings outside of Santa Fe and we also attended a mass in the oldest chapel in the country founded by missionaries. It was so cool. I want to go back there as well. Still have New Mexico on our to-do list; will now add Plaza Blanca, thanks! Plaza Blanca is really something. If you go on a sunny day, wear a hat and bring along water. And don’t forget the sunscreen! Have a great rest of the week, Linda.